Take a dreamy journey of romance that twists and turns with poetic sentiments of love, cynicism, melancholy and the true nature of happiness. If you’re a GCU student, show your Student ID to get one FREE ticket. Contact Ethington Theatre Box Office at 602-639-8880 or ethington@gcu.edu to get your season tickets. Individual tickets can be purchased through Ethington Theatre Box or below. 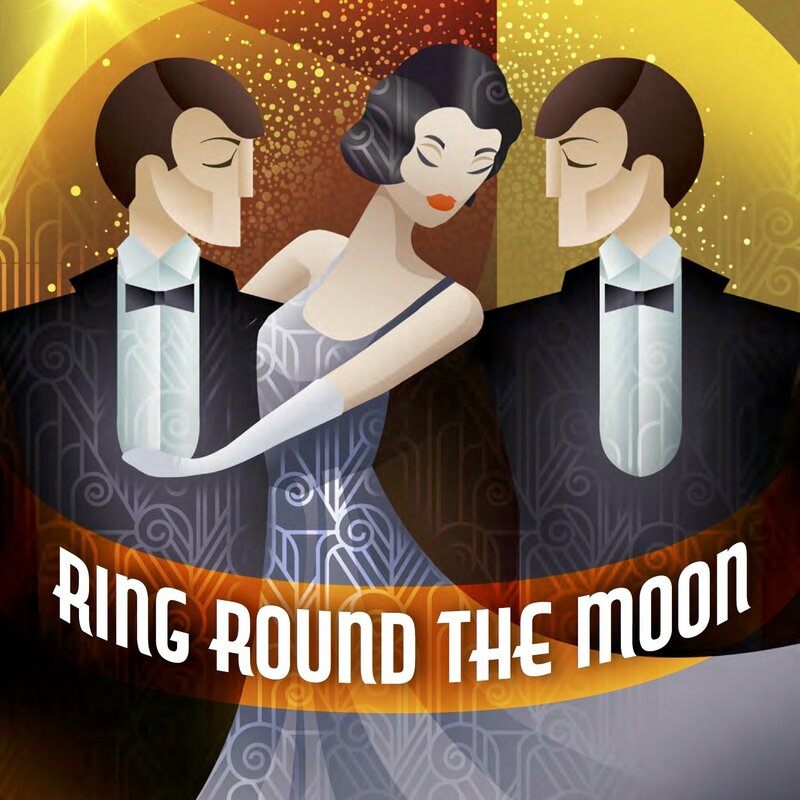 Both a parody and play, “Ring Round the Moon” is known by Fry as “A Charade with Music.” It satirically tells a love story in the 1920s that’s darkened by the evil pursuits of a cold-hearted brother, Hugo. He’s driven to end his innocent twin brother’s marriage to an heiress—who has actually fallen for Hugo. To end their engagement, Hugo elicits the help of a ballerina whose mission is to seduce Frederic; however, she also falls for Hugo. An uproarious chain of events unravels. “Ring Round the Moon” unveils the complex relationship between love and wealth by displaying tender feelings, wit and a wide range of moods set among a beautiful chateau and French country estate. Among the misunderstandings and disenchantments between lovers, “Ring Round the Moon” has a happily ever after ending, after all.